Simple steps to a productive GardenSoxx garden. Unlike conventional gardening, GardenSoxx require little to no prep work and are easy to install. Create lavish, productive gardens for growing vegetables, fruits, herbs, and flowers anywhere. Follow our simple steps to get started. GardenSoxx are currently available for wholesale purchasing only for farms, landscapers, and retailers. 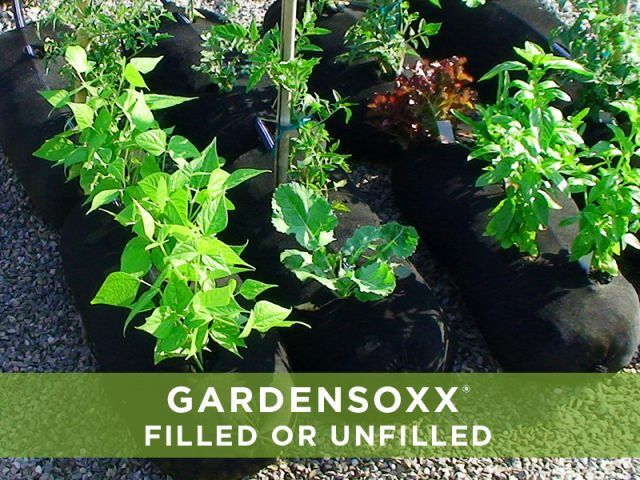 Contact us to purchase unfilled or pre-filled GardenSoxx for your farm, landscaping business, or retail store. Unlike potted plants, raised bed structures, or an in ground garden, GardenSoxx are nearly impossible to overwater. 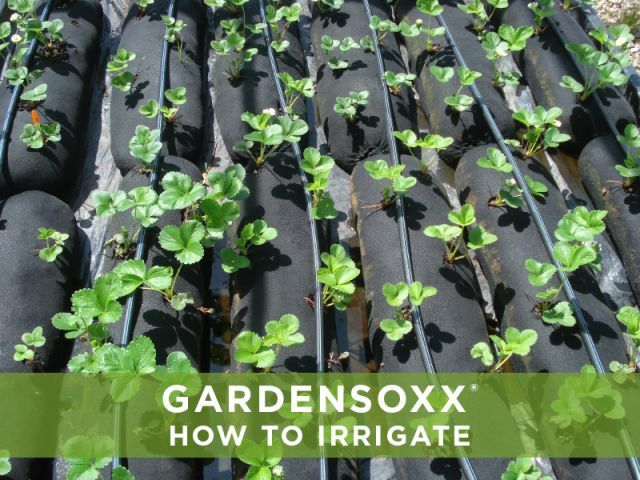 Learn how much and how often to water GardenSoxx. Our mesh technology makes planting easy. Plant plugs, seeds, or bare root plants following standard planting principles and our planting guide. GardenSoxx can be used for annual and perennial plants. 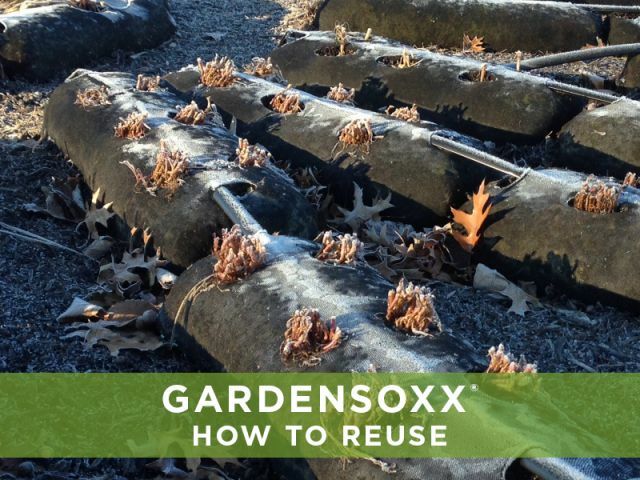 Learn how to reuse and care for GardenSoxx during winter months.